tamarind chutney recipe | imli chutney | sweet tamarind dates chutney recipe with detailed photo and video recipe. 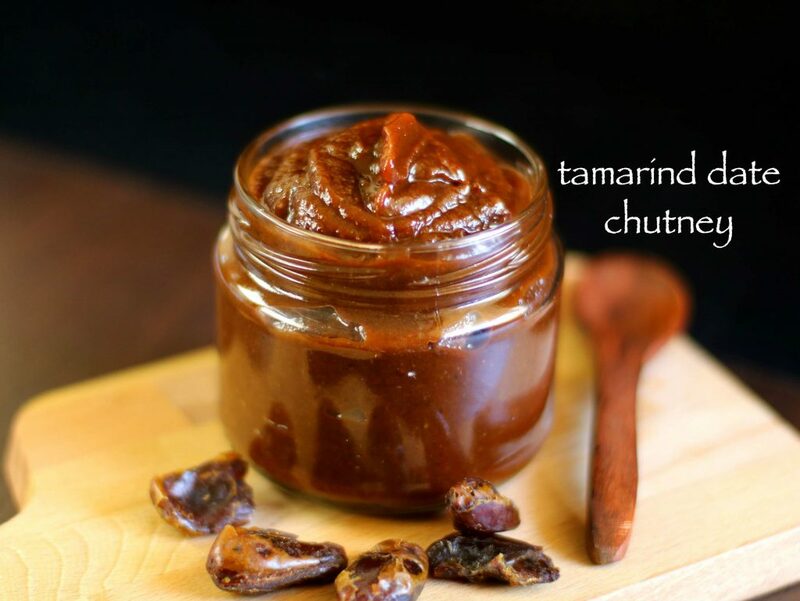 basically a sweet and tangy chutney recipe prepared from dates, tamarind and jaggery. it is typically used in chat recipes, especially in pani puri and bhel puri and is quite popular in northern india. it is also commonly refereed as saunth chutney or sonth chutney recipe or even sweet chutney recipe. 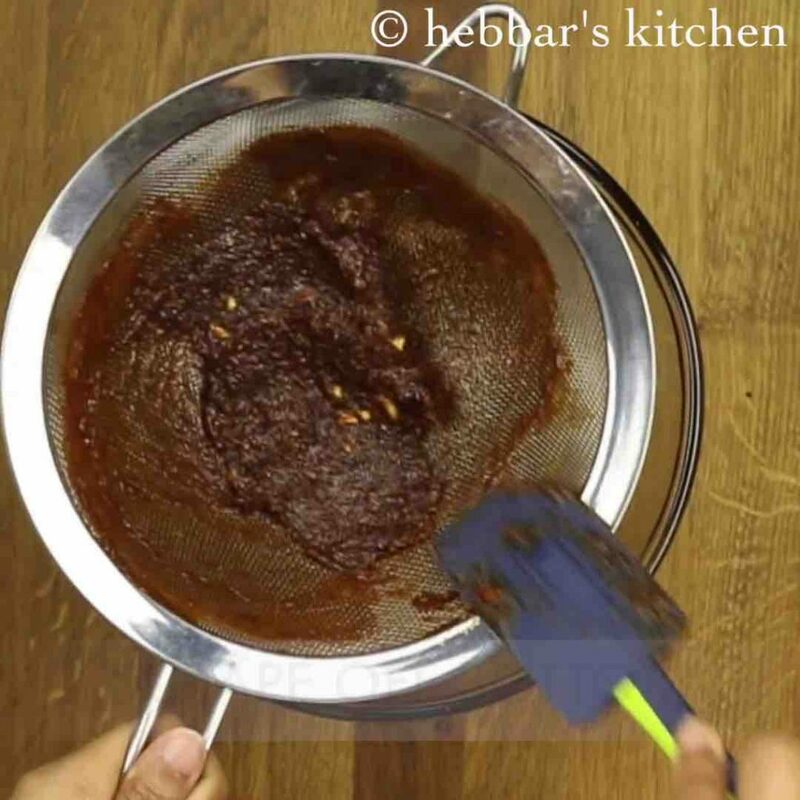 tamarind chutney recipe | imli chutney | sweet tamarind dates chutney with step by step photo and video recipe. traditionally, sweet chutney were prepared from just jaggery, however these days dates have also been added to get sweetness taste and texture. tamarind chutney is primarily used in chat recipes, but can also be served as condiments for aloo samosa, onion samosa and aloo tikki. initially, i thought of preparing just sweet tamarind chutney, but i was having a bunch of dates unattended from my previous recipe. hence i decided to prepare the sweet tamarind dates chutney. 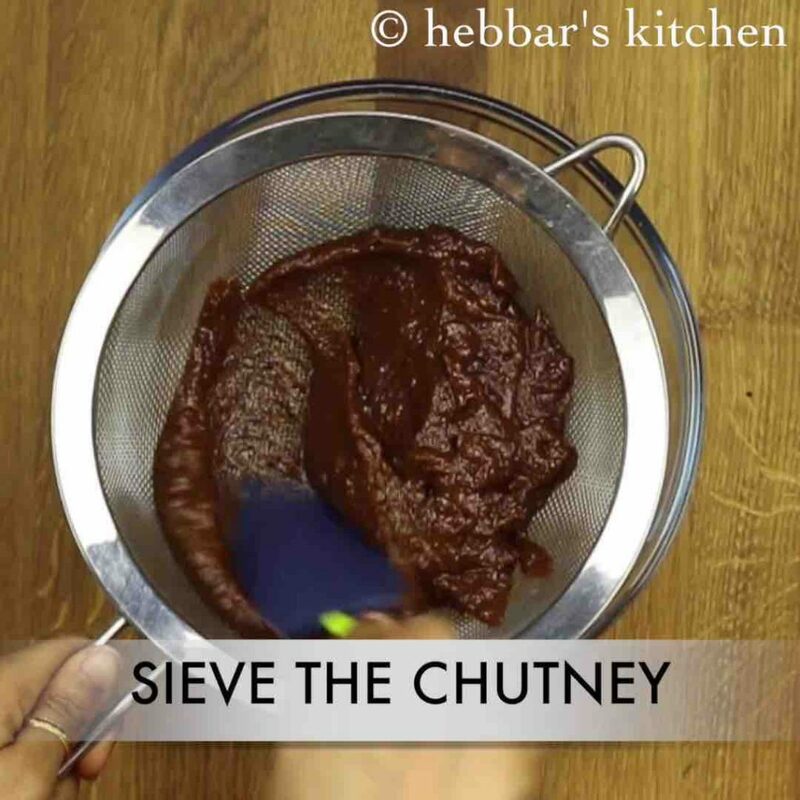 while i personally avoid having this chutney recipe in any of my chaat recipe. however my husband loves sweet and spicy combination in his chaat recipe. hence i prepare this chutney recipe well ahead in advance and store in a air tight container. typically it has a long shelf life and can be preserved for months. 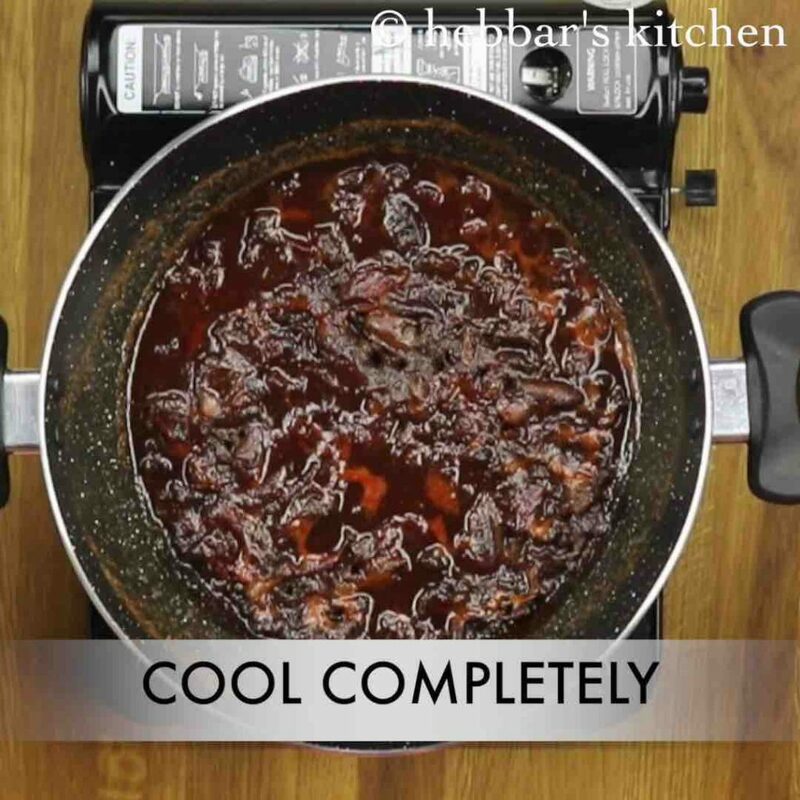 in addition some tips, variations and suggestions for a perfect sweet tamarind chutney or khajoor imli ki chutney. in this recipe i have prepared a thicker version which can be ideally used as dip. if you are using as topping for chaat recipes, add water to make it thin and flowing consistence. secondly, if you do not have dates, then even jaggery can be used to get the sweet taste. 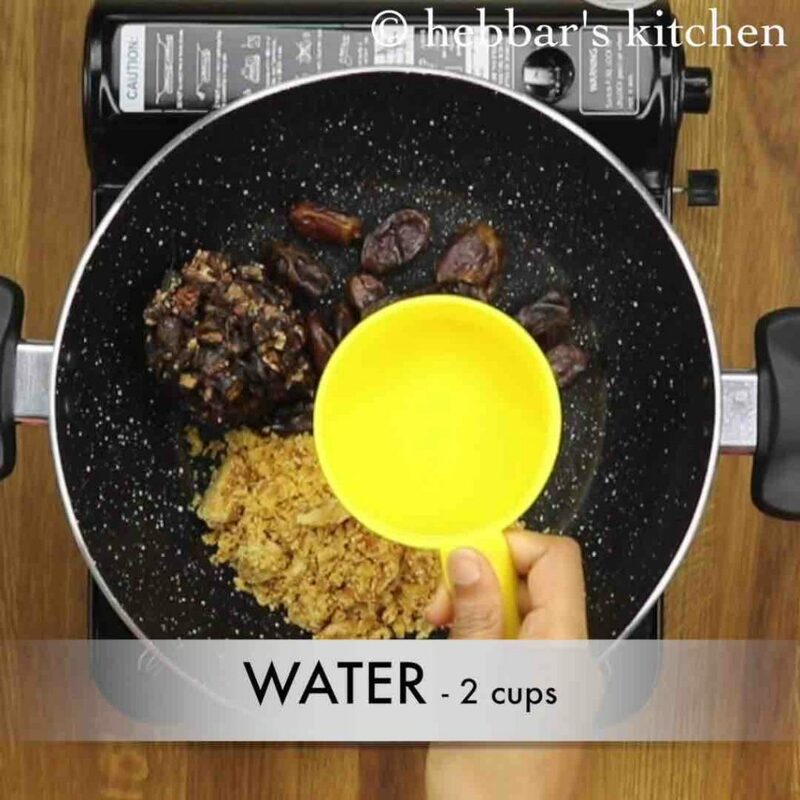 lastly, you can also soak the tamarind and dates in water so that they can be easily grounded. mix and boil the mixture for atelast 10 minutes. 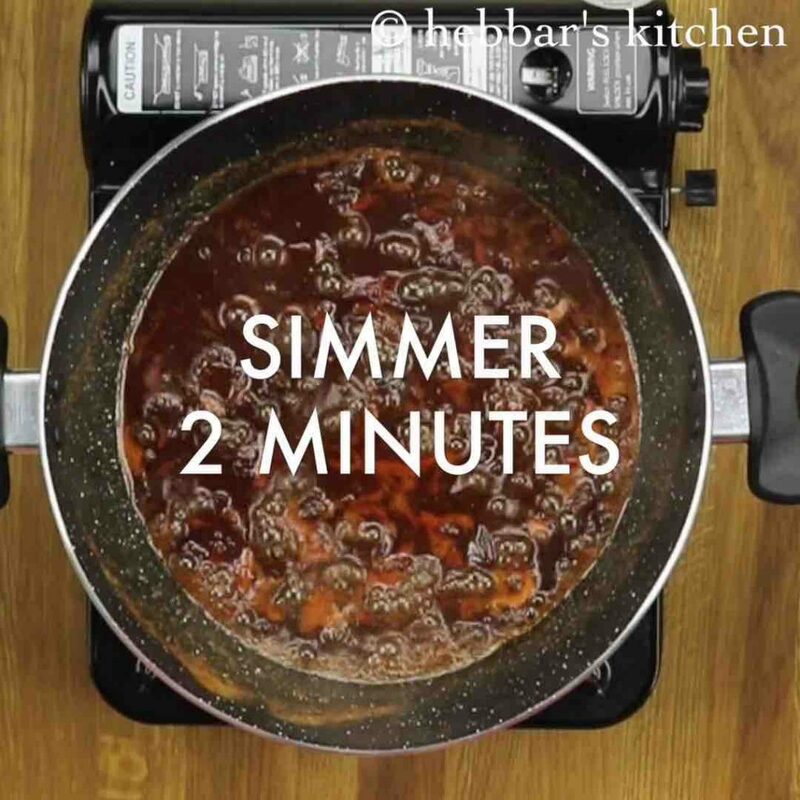 also add ½ tsp fennel powder, 1 tsp coriander powder, ½ tsp cumin powder, 1 tsp kashmiri red chili powder, ½ tsp dry ginger powder and salt to taste. 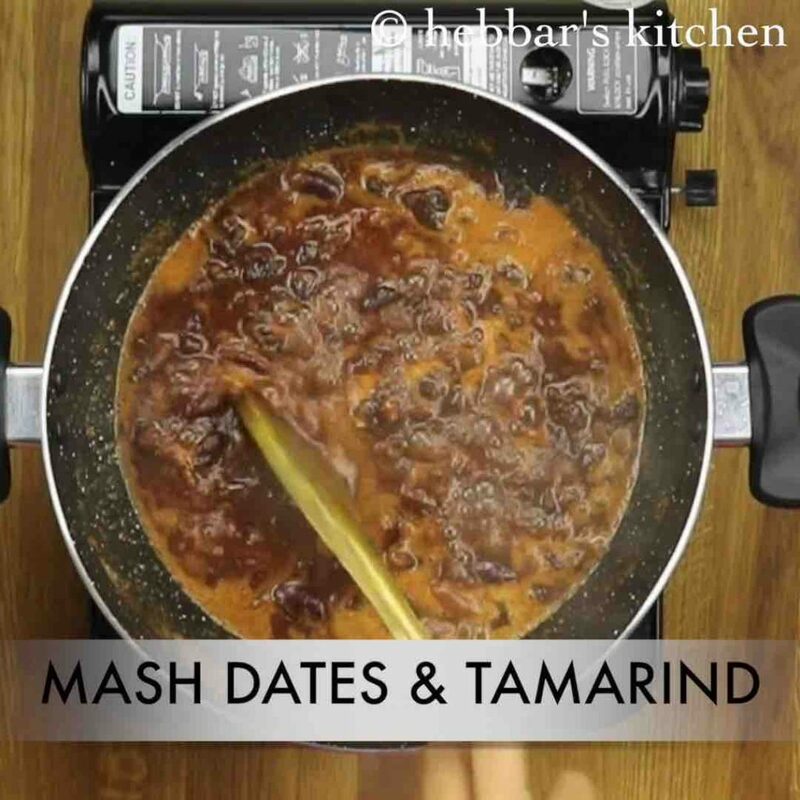 mix and mash tamarind and dates. 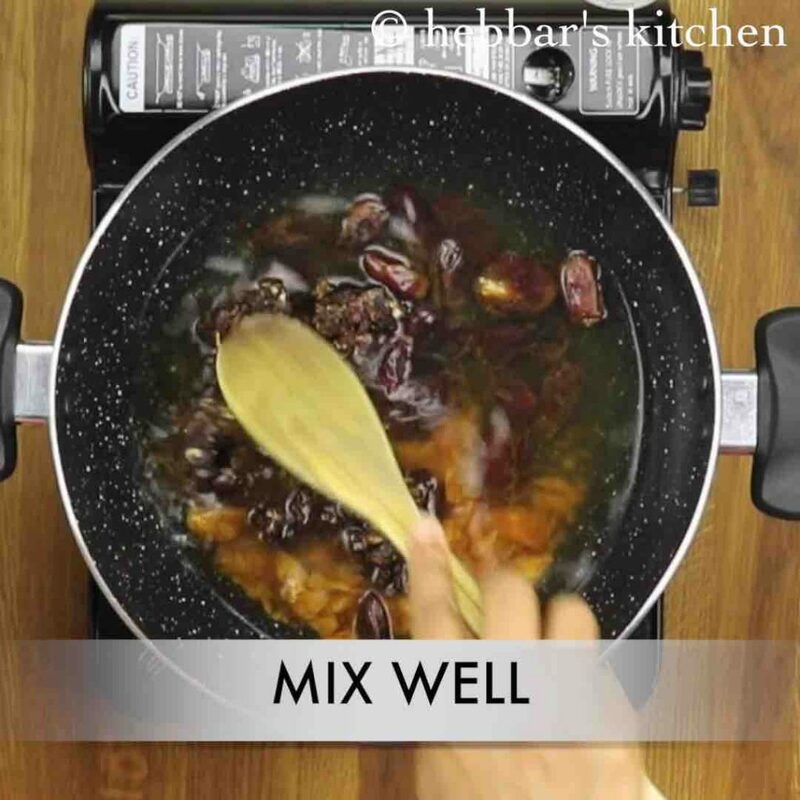 now transfer the dates, tamarind mixture to the mixer and blend smooth puree. and transfer the prepared khajoor imli ka chutney into airtight jar and store it in the refrigerator..
finally, use the prepared tamarind date chutney in preparing sev puri, bhel puri or pani puri. 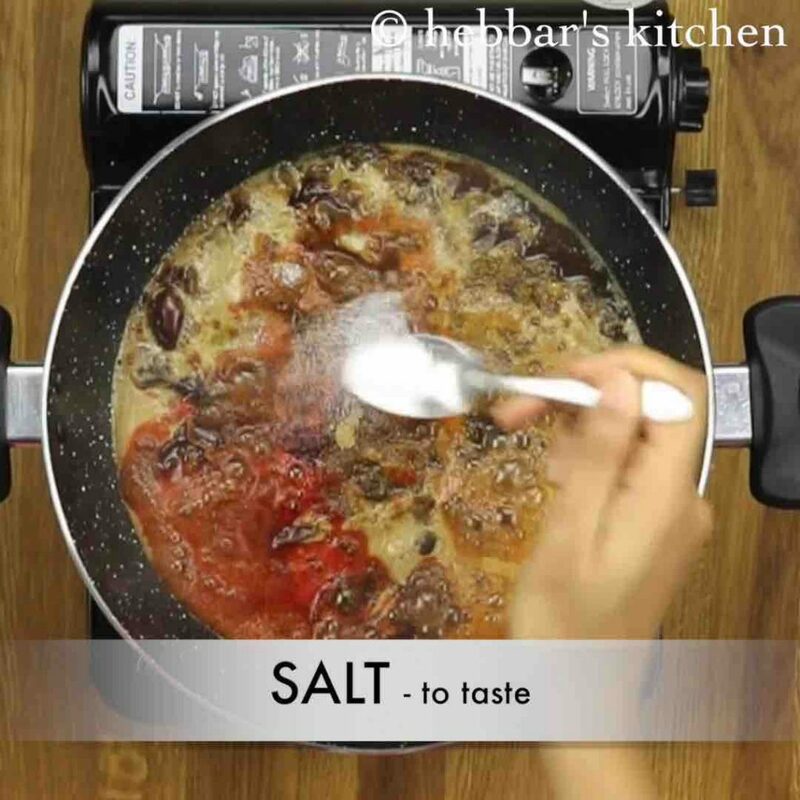 firstly, in a large kadai take equal proportion of seedless tamarind, seedless dates and jaggery (½ cup each). further pour 2 cups of water. for thinner consistency chutney add 3 cups water. mix well, making sure they are completely immersed in water. 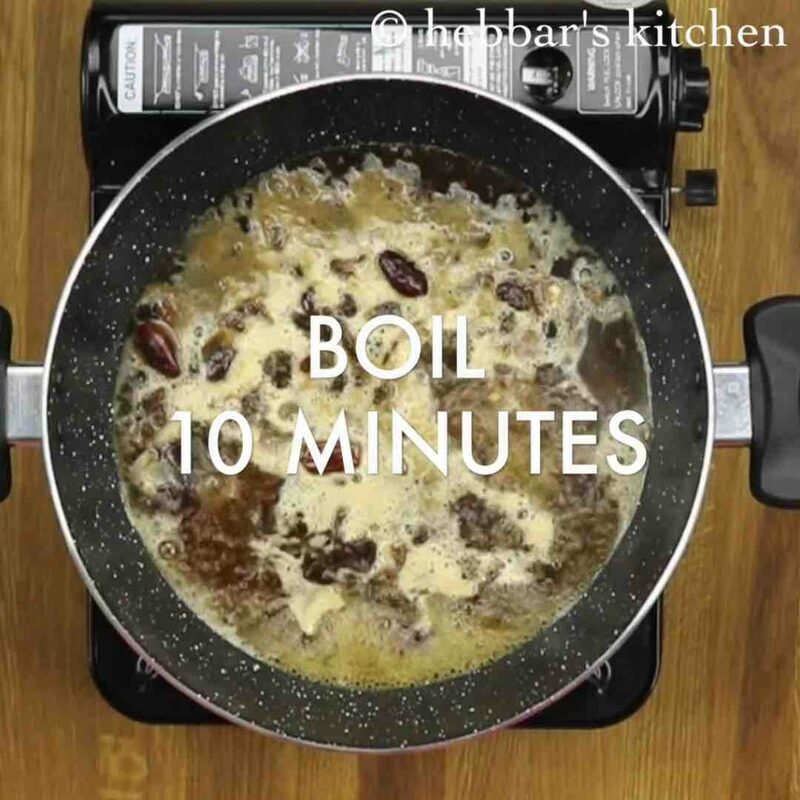 now boil the mixture for atelast 10 minutes or till the tamarind and dates turn soft. later allow the mixture to cool completely. 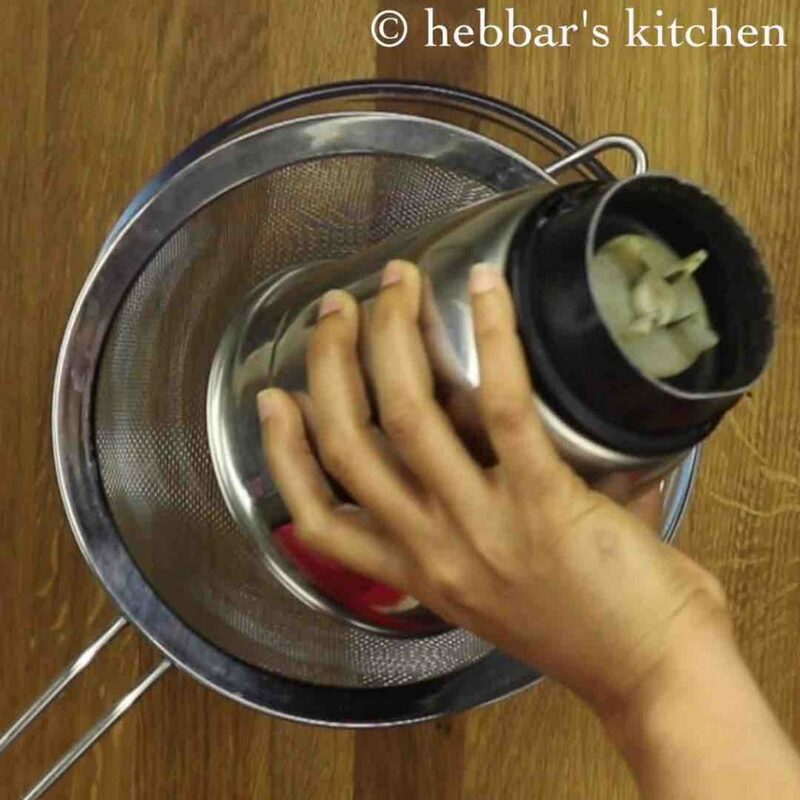 further, place a strainer over the bowl and pour the blended puree. with the help of spatula strain the puree by pushing out. discard the residue as there is no pulp left in it. also scrape off the bottom of strainer as there will be more pulp. 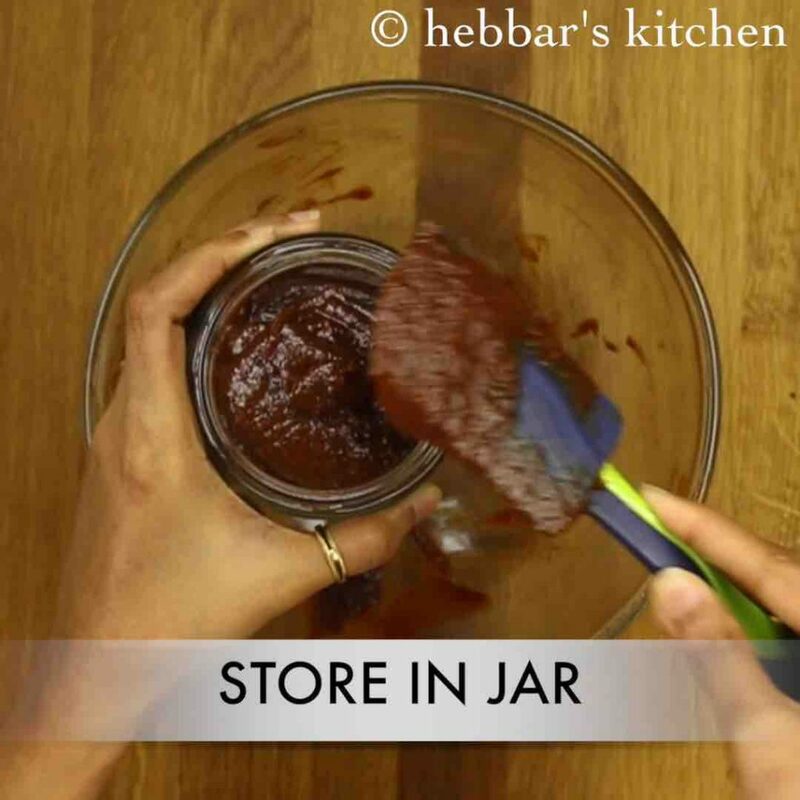 furthermore, transfer the prepared khajoor imli ka chutney into airtight jar and store it in the refrigerator. 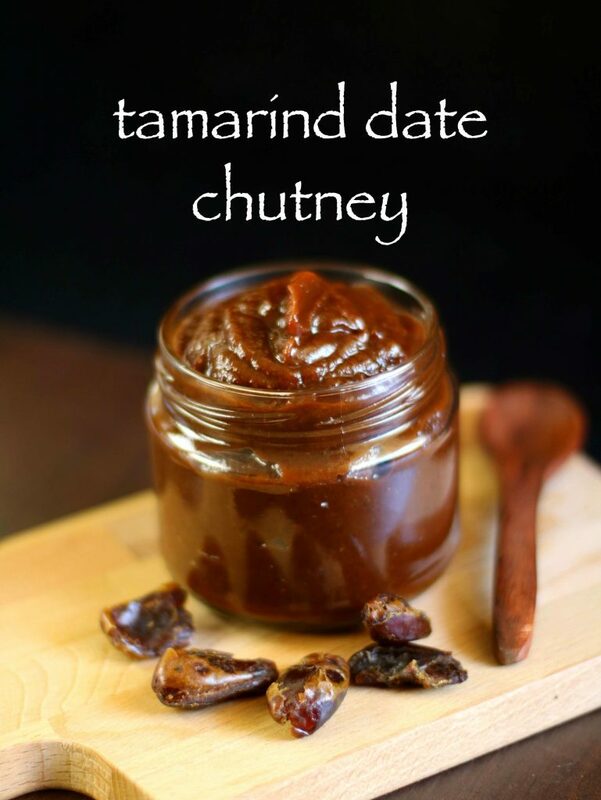 finally, use the prepared tamarind chutney / tamarind date chutney in preparing sev puri, bhel puri or pani puri. 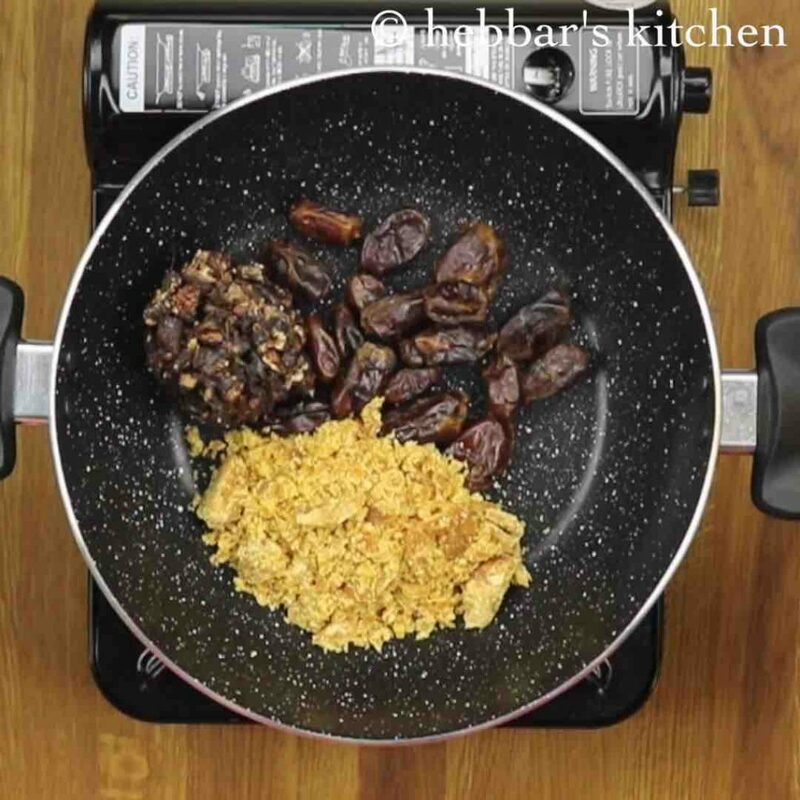 firstly, soak the tamarind and dates in warm water for 30 minutes, to reduce the boiling time. additionally, temper the chutney with chopped green chilli, and garlic for more flavours. 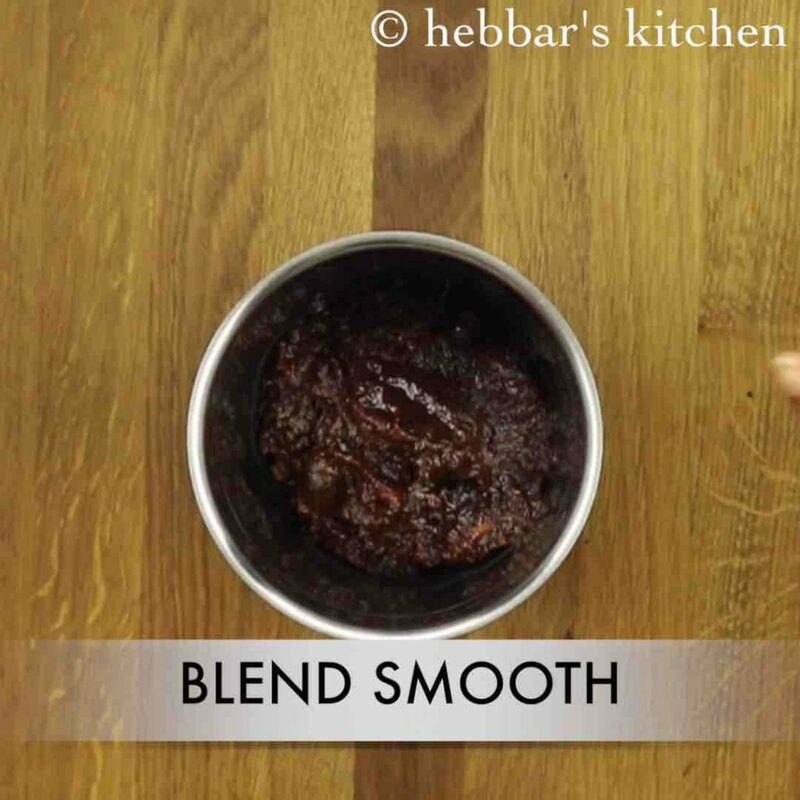 most noteworthy, use seedless dates and tamarind, else tamarind chutney will turn bitter while blending to puree. also, dilute the chutney as desired just before serving to increase the shelf life. 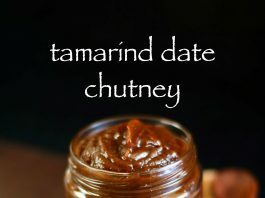 finally, tamarind chutney / tamarind date chutney stays good for a month when refrigerated in a airtight glass jar. Thanks for this recipe, it came out yum and I sent it to my sister who is pregnant and she loves it! Hi, Do you have some sort of an equivalence formula for Tamarind vs Tamarind paste? I am afraid I did not understand your question? First of all Great work guys you inspire me to cook and learn new dishes. I live in Germany and I only get Tamarind Paste and not raw tamarind. So i was wondering if I have to prepare this using Tamarind paste, do you have the proportion for the ingredients? 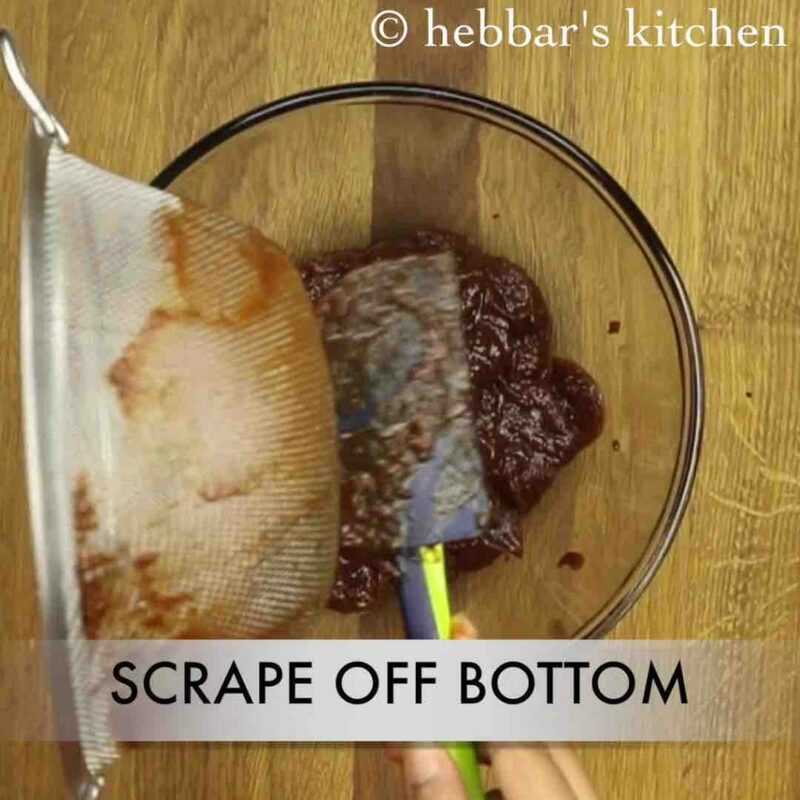 Looks yummy and easy to prepare…Thanks… Will try it out…How long can you preserve this chutney? What it is called dry ginger is it normal ginger? it is dried ginger powder. you can easily get it in any indian store. HI Manisha, I did not get you.